Thinking of switching to cloud? You aren't alone: In just a few short years, it's evolved from a niche market into one of the fastest-growing ways that offices do business worldwide. If you aren't quite sold on its expansion, however, here are five other reasons that might tip you over the edge and into a brave new world. Collaboration is the key to a successful business, but if your workers are stuck in cubicles all day, it can be difficult to brainstorm and share ideas. What if everyone was hooked into the same network? What if you could send announcements, reports and designs to all of your employees with the click of a button? How much creativity and productivity would you engender? You can save hundreds on overhead when you switch to a cloud network. Not only will you eliminate the need for everyday things like pens and paper clips, but you'll also say goodbye to repair and maintenance costs for paper-based equipment like scanners and fax machines. You'll only rarely need them when all your business is conducted virtually. With cloud computing, you can access your documents from absolutely anywhere in the world. All you need is an Internet connection. Double-check a report during your morning commute; send a memo over your lunch break; read the notes of yesterday's meeting while thousands of miles away on a business trip. Cloud networks operate with power generated by heavy-duty server farms in undisclosed locations. This means that your data is safe and secure from all the trivialities of daily life. No power outages at the office will corrupt your files; no disgruntled employees can compromise your system with homegrown sabotage. You're entirely protected. One little-known fact about cloud networks is that they can take administrative burdens right off your shoulders. With their automated systems and streamlined processes, you can sit back and relax as they take care of the mundane tasks that used to fall under your purview. You'll get more accomplished in less time and with less energy expended to do so. Now that's worth the price of installation! These are just five benefits you'll enjoy when you put your computers on a cloud network. 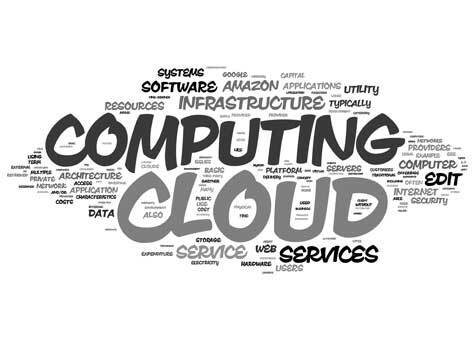 Whether you're restructuring your business or just looking for a convenient way to connect all the laptops in your family home, you can't go wrong with cloud. Contact service providers like CalNetTech.com to learn more about making the switch.